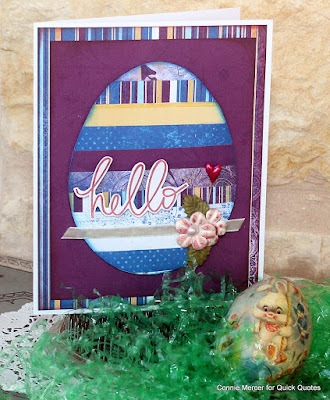 Blog Quick Quotes: Easter Inspiration with Connie! Hi, Connie here with a couple of really cute Easter cards using the new Mulberry Collection by Quick Quotes. This technique is easy and kid friendly. 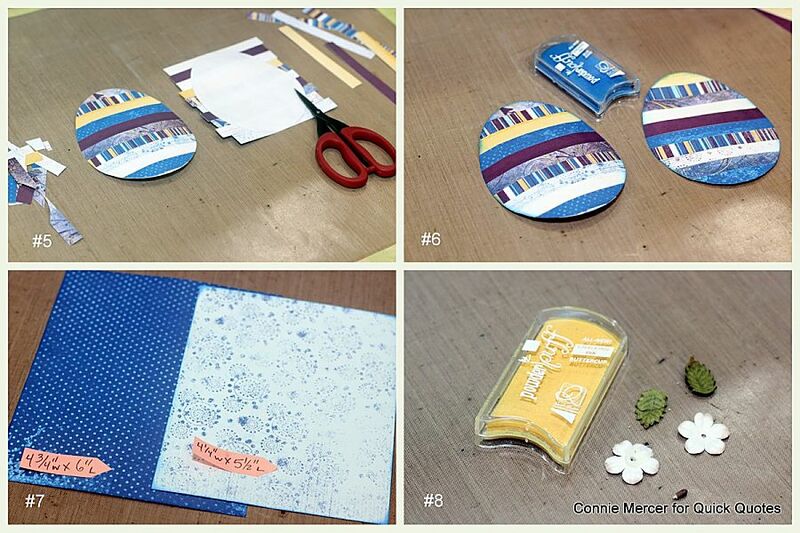 A great project to make together with the family. 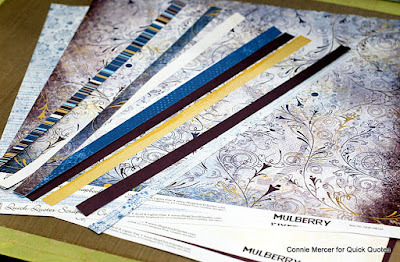 Mulberry 103 and 105. Cut in 1/2" strips (9 total). You will have a few left over. Draw an egg. Cut it out. The size depends on how big you want your card to be. This one is about 4 1/2". Cut the strips in thirds. That would be 4" pieces. 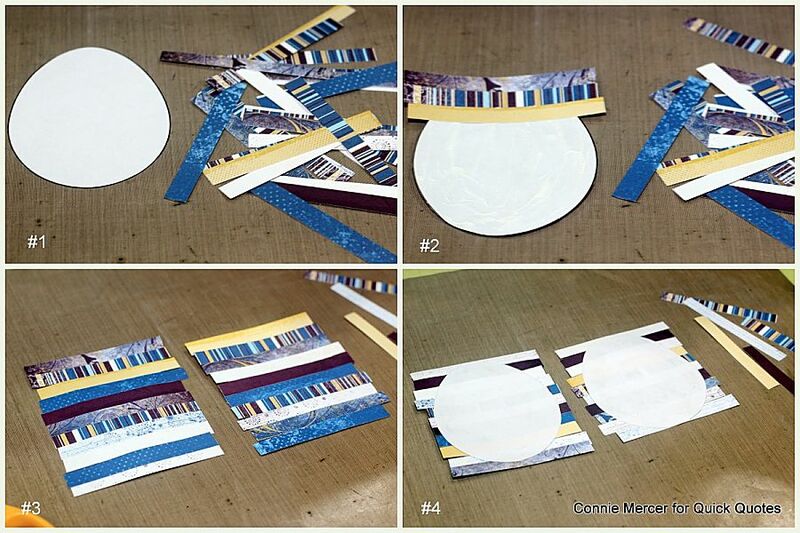 Spread liquid adhesive on the egg template and start laying the 4" strips across the template in a straight line. Cut around the egg template. 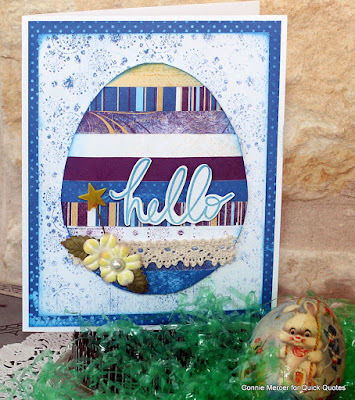 Shade the eggs with Blue Jeans PowderPuff Chalk Ink. The Petaloo flowers are pulled apart and shaded with Buttercup PowderPuff Chalk Ink. Stamp out the sentiment, cut around and adhere. The second version. These were really fun to create. 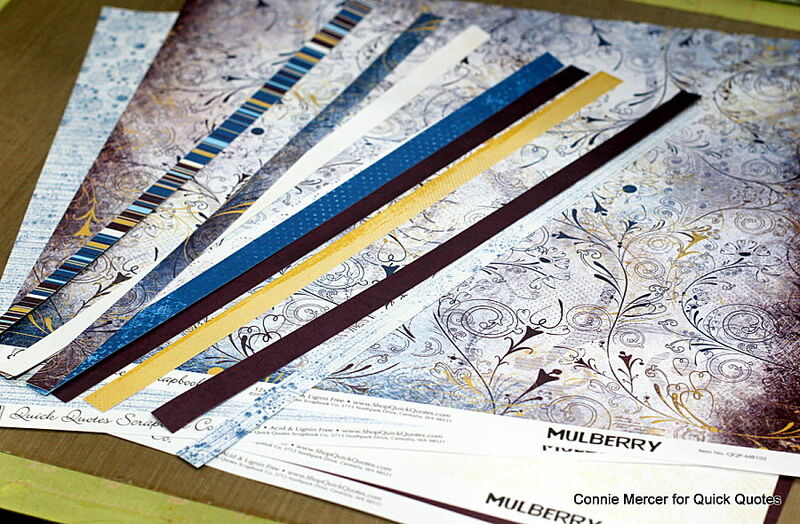 The Mulberry Collection added just the right amount of bright, fun colors to the Easter eggs.